Sometimes you run across a situation where you just want to brag a little bit. I just had one. Most of you don’t know it, but as an IICRC Certified Journeyman Textile Cleaner, an IICRC Certified Firm and as a Carpet and Rug Institute Seal of Approval Service Provider, I get called out by a company in Dalton, GA that works for the big carpet mills and fiber producers when consumers file warranty claims on their carpet. They have me inspect stained and/or soiled carpet and determine if the stain/soil is removable or not. 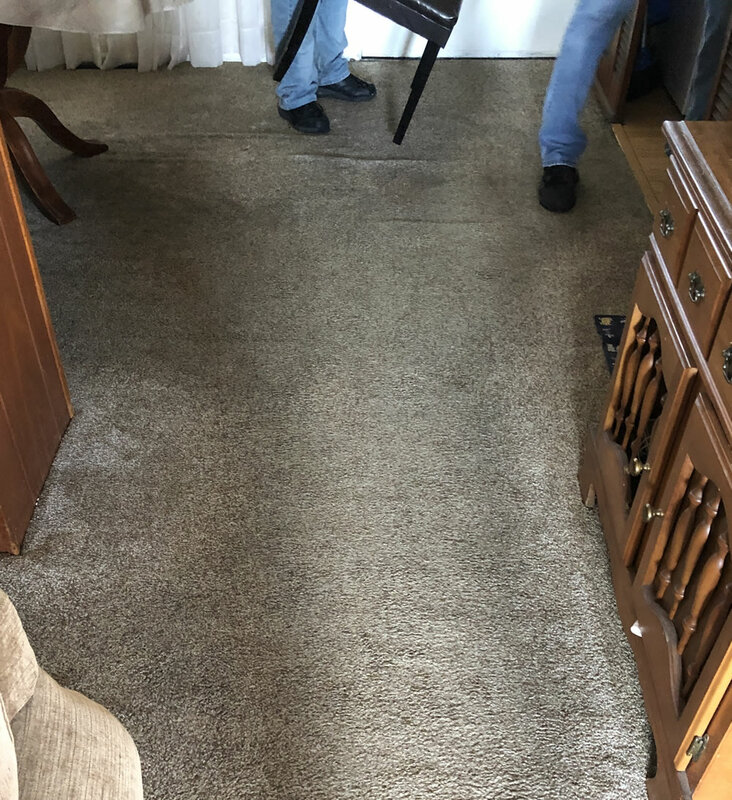 These consumers have had a stained or heavily soiled carpet for which they have called a ‘professional carpet cleaner’ to clean their carpets. Through the chain of the warranty claim, we get called in. And yes, we get it clean. What the other company couldn’t get clean, we get clean. Why? Because we are trained. We take the classes the mills want us to take so we know how to clean carpet. Did you know that 85% of carpet cleaners never take those classes? It shows. It really shows. So why do I want to brag today? We received one of those requests to clean by the company in Dalton, GA recently. 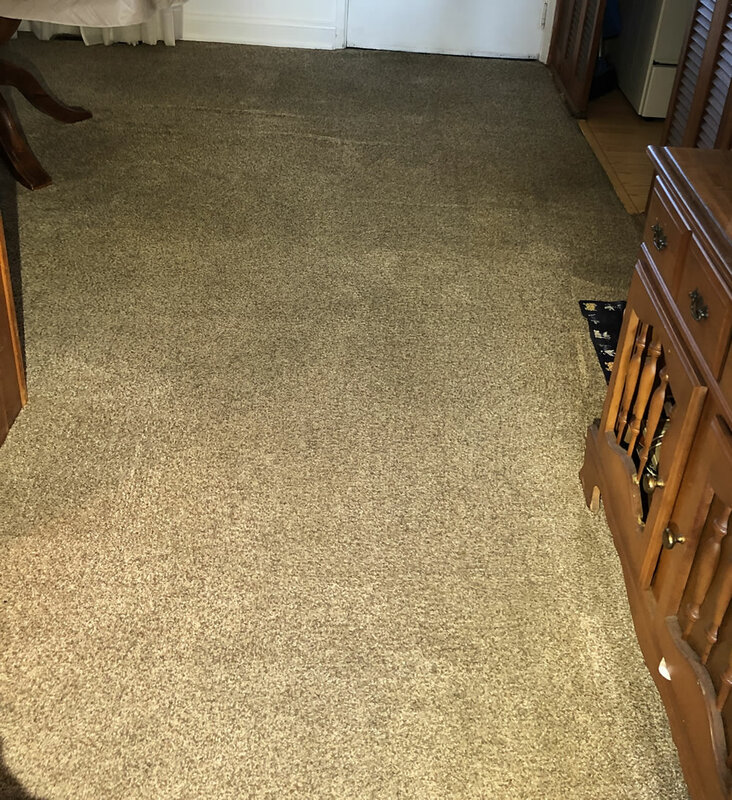 We were told that the carpet was heavily stained, and to not clean any unknown stains. When I knocked on the door of the home, the man who greeted me proceeded to inform me that he had managed the carpet department in one of the big box stores, and that he had consulted with his carpet sales rep to find the best carpet to install in this (his mother’s) house. The carpet was very heavily soiled, with a dark path going through the living room, dining room, and hall. I quickly determined it wasn’t stained but heavily soiled. The interesting thing is that it had been cleaned one month before, and they had been getting it cleaned every 3-6 months! …and the carpet was so dirty that it could have been mistaken as worn out. Below is a before and after picture we took. Before the carpet was cleaned by Sonrise Carpet Care will be on the left, and after on the right. Slide back and forth to see the difference. Next time you need to get your carpet cleaned, call the real professionals at Sonrise Carpet Care.